Bad Luck Marco: Gets sold to Bundesliga team, still needs to fight descenso. Marco Fabian from Chivas has been sold to German Bundesliga team Eintracht Frankfurt for 4.5 Million. The Chivas goal scorer is well known for putting in some impressive Golazos for the Sacred Herd of Guadalajara, so it will be interesting to see if he can do the same in Germany. Some say that Fabian has had his ups and downs. He can be considered inconsistent. He could score a screaming goal one game and then proceed to go on a 4 game drought. There is also the discipline issue and his infamous partying and drinking lifestyle. Moving to the “Big Leagues” in Europe may improve his discipline as he will need to impress and work hard to earn respect and most importantly playing time with his new club. While he is leaving Chivas, a club fighting to stay out of relegation/descenso, it appears he is in the same situation with his new club in Bundesliga. Eintracht Frankfurt is in 15th place, 2 spots away from relegation. So not only does he need to impress and work hard for the sake of his career, but also to lift up his team in the Bundesliga Table. Of course hard work and impressing, is something he can learn from his fellow Paisa in Bundesliga, Chicharito. Javier Hernandez is the epitome of discipline and class, something Fabian should emulate and follow. Things may look up for Fabian in this move. If he can put it all together the right way and score goals on a consistent basis, he can be well on his way to a successful European stint. Chicharito is doing it, so can he. Chicharito’s success includes a recent hattrick and plenty of goals and assists. He is also secured a starting role with the team. Fabian has a good chance to follow in his success and improve his worth. However, he can’t disappear on the field. He has to make an impact. Critics could say that Chicharito’s success may be due to some of the quality of teams he is up against. Bayer’s most recent win was against a 4th division team. The term slumpbuster may even be mentioned. Supporters could say, he is playing 90 minutes and when given the opportunity, will score. No matter, this is an opportunity of a lifetime for Marco Fabian. He needs to show his worth, gain a starting role and score goals, be a contributor. He has the ability to do it. Many Mexicans have performed well in Germany, Pavel Pardo being one of the first along with Salcido, and even Maza. 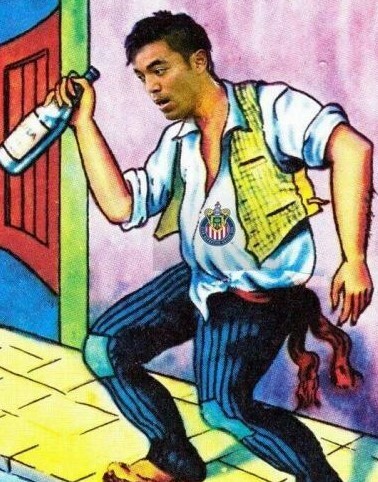 This is the time for Marco Fabian to make his mark. If he can, there may be a chance for him to head to the next World Cup.